workplace where you can find beauty to inspire you! 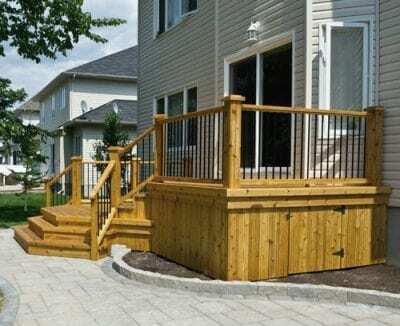 Discover all of our deck options. A deck is a great opportunity to express your own vision for your home and its surroundings. Turning the backyard into an outdoor retreat is one of the hottest trends among new and experienced homeowners alike. Some think of their deck as a safe haven from life’s pressures (no phones, televisions or computers allowed!) where others plan an “outdoor office” for writing or other inspirational pursuits. Fence-All has been manufacturing, supplying and installing decks since 1976. We work with all the popular material types (old-fashioned wood and the more modern maintenance-free materials). Our decks are always designed with an eye to maximizing the value to our customers. 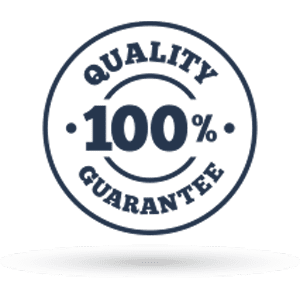 We’ve been designing and installing decks for 40 years: we have the tools, the materials and the experience needed to create the most exciting and finely finished decks available. Our “time in” means we’ve learned what works and what doesn’t; how to find the most elegant and useful proportions for your situation; the pros and cons of different materials; and how to get the most from your budget. 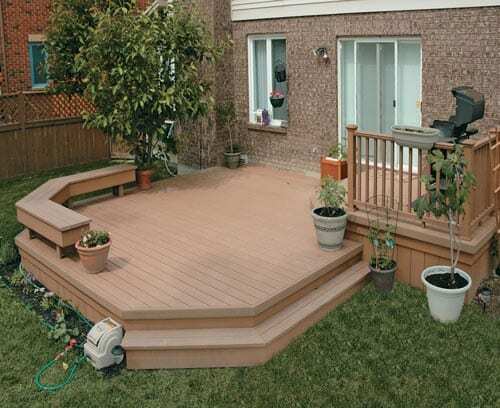 You’ll be as proud of your new deck as we are in building it.